This set contains 12 pieces Ouverture Red Wine. 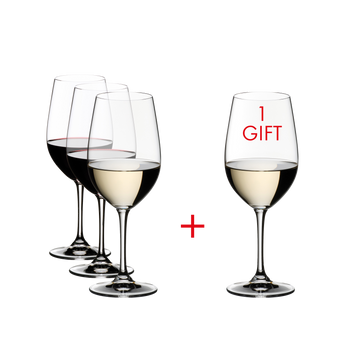 The wine-friendly machine-made red wine glass of the glass collection Ouverture is offered in an attractive value gift pack - Pay 8 Get 12. Ideal to give as gift or to enjoy yourself. The shape of the glass helps to release the aromas of the red wines, emphasise fruit and balance tannins. It is RIEDEL's uncomplicated entry level series for customers who appreciate good reasonable priced wine. All RIEDEL glasses are dishwasher safe.